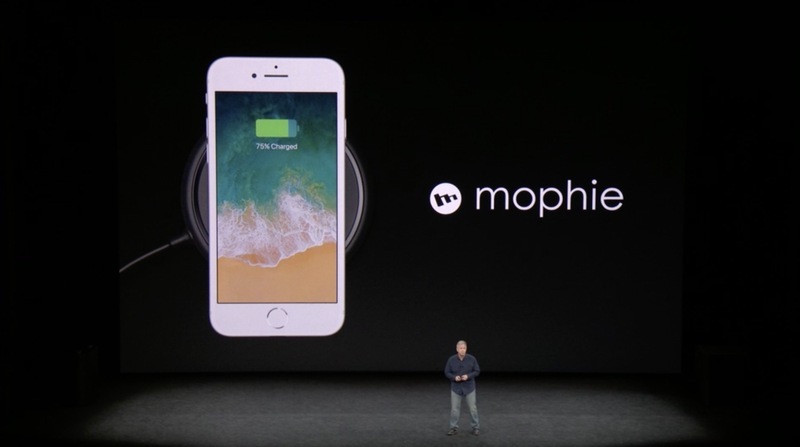 Apple today revealed the iPhone 8, iPhone 8 Plus, and iPhone X, all of which will support Qi wireless charging. Although Apple's own wireless charging accessory won't be coming out for a while, customers will be able to purchase charging pads from other accessory makers: Mophie, Belkin, Incipio, and more. The iPhone's charging is based on the Qi standard, so users will be able to charge their iPhones anywhere they can find a Qi charging pad. Didn't Phil basically once say a couple of years ago that we shouldn't need a pad to wirelessly charge the iPhone, because needing a pad would defeat the purpose? I'm actually kind of disappointed. I figured the reason Apple took this long to add wireless charging was because they were developing true wireless charging that didn't require some kind of pad. I thought they would have adapted something like just snapping your fingers or tapping your heels together and the phone would be charged. Disappointed. I'm just saying that since they took this long, I figured they would've developed some new kind of true wireless charging. When Apple adds features later than everyone else it's usually because Apple has their own spin to make it ready for prime time, or more usable to the masses. If this was it, they literally could've added this Qi chip ages ago is all I'm saying. I thought they would have adapted something that either you plug into the wall then just turn an option on in settings to whether you want it to charge or not, or something you plug into the wall then an adapter that goes into the lightning port. The Wireless charging didn't interest me as much as I thought it would. Ok, dumb question but will the phone still be able to wirelessly charge with a case on it? It's not a dumb question. And I believe it should still be able use it with a case on. I mean it's inductive charging. So it's still a gimmick.